Get Braun Series 9 9095CC Wet & Dry Mens Electric Foil Shaver (Silver) from Amazon.co.uk. 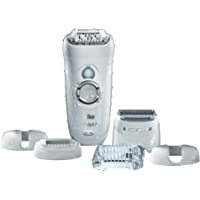 Get Philips HP6423/02 Satinelle Legs and Body Epilator with Shaving Head from Amazon.co.uk. 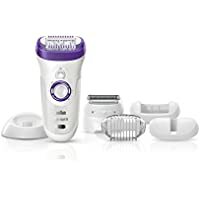 Get Braun Silk Epil 7 7-561 Wet & Dry Cordless Epilator with 6 Extra Attachments from Amazon.co.uk. Super Hot! Today only, get Braun Series 9 9290cc Mens Electric Foil Shaver (Silver) from Amazon.co.uk. 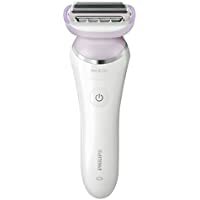 Today only, get Braun Silk Epil 7 7-561 Wet & Dry Cordless Epilator with 6 Extra Attachments from Amazon.co.uk. 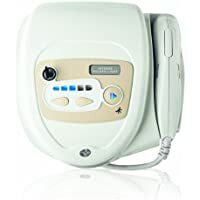 Get Philips Lumea Advanced SC1999/00 IPL Hair Removal System from Amazon.co.uk. 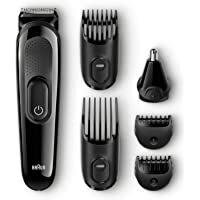 Get Philips S5600/41 Series 5000 Aqua Touch Electric Shaver with Smart Click Beard Trimmer from Hughes. 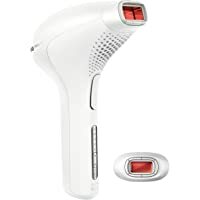 Get Philips Lumea Prestige SC2007/00 IPL Hair Regrowth Prevention System from Amazon.co.uk. 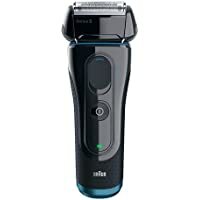 Discount : £30.00 when you check the box for "Apply £30.00 Voucher"
Get Philips Series 5000 Aqua Touch Electric Shaver with Smart Click Precision Trimmer from Amazon.co.uk. Get BaByliss for Men 7056DU Titanium 8 in 1 Grooming System from Argos.co.uk. 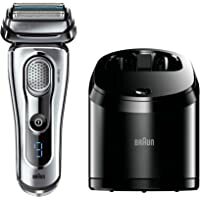 Today only, get Braun Series 7 790cc-4 Mens Electric Shaver with Clean and Charge Station from Amazon.co.uk. 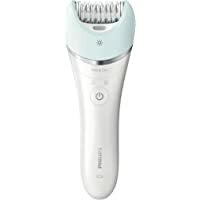 Get Philips BRE610/00 Satinelle Advanced Wet and Dry Epilator from Amazon.co.uk. Super Hot! 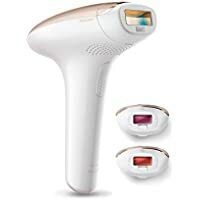 Get Philips SC2009/00 Lumea Prestige IPL Hair Removal System from Amazon.co.uk. 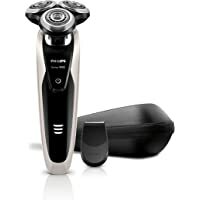 Get Philips S9041/12 Series 9000 Wet & Dry Mens Electric Shaver from Amazon.co.uk. Get Corioliss Kompactissimo 2100W Hair Dryer (White) from TheHut.com. 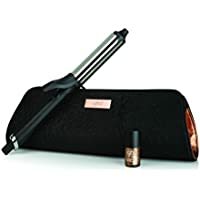 Get ghd Deluxe Dry & Curl Wand Gift Set from Amazon.co.uk. Super Hot! 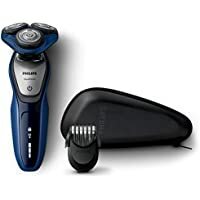 Get Philips Series 1000 Click and Style Shaver from Amazon.co.uk. 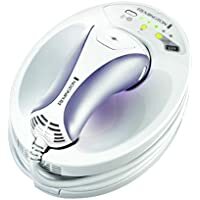 Get Remington IPL2000 i-Light Reveal IPL Hair Removal System from Amazon.co.uk. Super Hot! 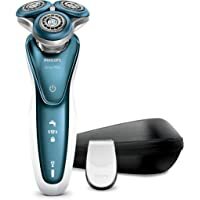 Today only, get Philips SatinShave BRL170/00 Wet & Dry Prestige Electric Ladyshave from Amazon.co.uk. Super Hot! Get Braun Series 7 790cc-4 Electric Shaver with Cleaning Centre from Argos.co.uk. 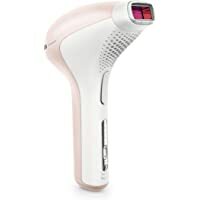 Get Philips Lumea Prestige SC2008/11 IPL Hair Removal System from eBay.co.uk (via philipselectronicsuk). 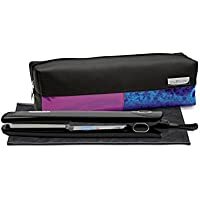 Amazon.co.uk is offering Up to 25% off Select Ghd Products at Amazon.co.uk. Plus Delivery is Free on £20.00 or more or with Amazon Prime! 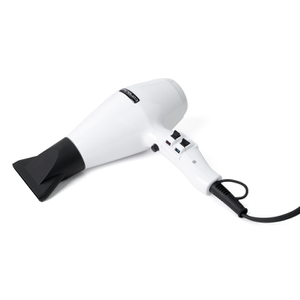 Get Nicky Clarke NHD152 2000W Diamond Shine Pro Salon Hair Dryer (White) from Argos.co.uk. Get Trevor Sorbie Stay Sharp Titanium and Ceramic Hair Clipper from Argos.co.uk. Get BaByliss 2667U Curl Secret Hair Curler from Superdrug. Today only, get Braun Series 7 7898cc Wet and Dry Mens Electric Foil Shaver from Amazon.co.uk. Super Hot! 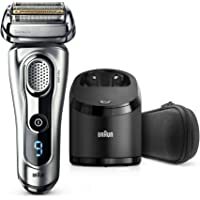 Get Braun Series 7 799cc-6 Men's Electric Shaver with Clean and Charge Station from Groupon. Super Hot! 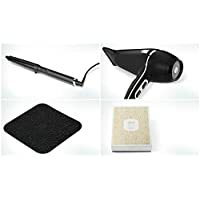 Today only, get Toni & Guy Illusion Styler Straightener Gift Set from Amazon.co.uk. Today only, get Braun Silk Epil 9 9-561 Wet & Dry Cordless Epilator with 6 Extras Attachments from Amazon.co.uk. 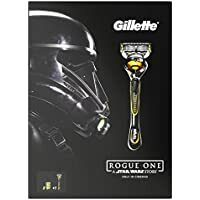 Get Gillette Mach3 Turbo Men's Razor and 11 Razor Blades from Amazon.co.uk. 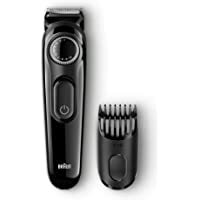 Get Braun BT5010 Cordless and Rechargeable Electric Hair Beard Trimmer from Tesco Direct. 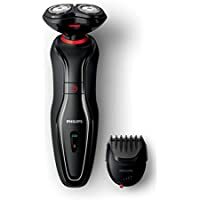 Get Philips OneBlade Pro QP6510/30 Hybrid Trimmer and Shaver (Black) from Tesco Direct. 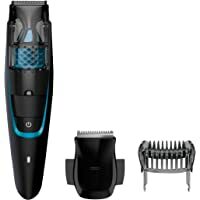 Get BaByliss for Men Professional Hair Clipper Gift Set from Argos.co.uk. Get Hair Lovers Hair Straightening Brush with Free Carry Bag (Multiple Choice) from Mighty Deals. 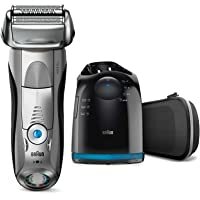 Today only, get Braun MGK3060 8 in 1 Beard and Hair Trimming Multi Grooming Kit from Amazon.co.uk. Get Remington XR1340G Hyperflex Golf Mens Electric Shaver (Silver) from Hughes. Get Philips S9031/26 Series 9000 Wet & Dry Electric Shaver (Black) from Amazon.co.uk. Get Carmen C81025 Salon Glamour Pro-Curl by Samantha from Groupon. 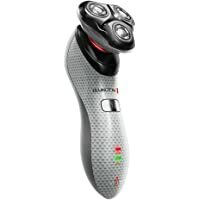 Get BaByliss For Men Lithium XTP Super Hair Clipper (Red) from Argos.co.uk. 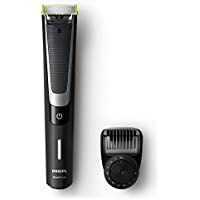 Get Philips OneBlade Pro QP6510/30 Hybrid Trimmer and Shaver (Black) from Amazon.co.uk. Get Remington XR1340G Hyperflex Golf Shaver (Silver) from Hughes. Get BaByliss 7565U Super Crew Cut Mens Hair Clipper from Tesco Direct. Super Hot! 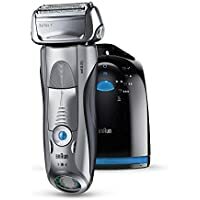 Today only, get Braun Series 5040s-5 Wet and Dry Mens Electric Shaver from Amazon.co.uk. 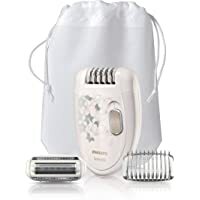 Get Philips Satinelle BRE650/00 Prestige Wet and Dry Epilator from Amazon.co.uk. 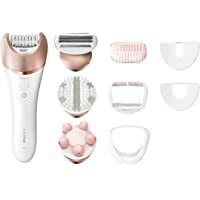 Get Braun MGK3020 Face & Head 6-in-1 Multi Grooming Kit from Amazon.co.uk. 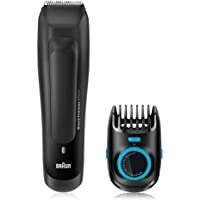 Get Braun BT3020 Beard/Hair Mens Trimmer from Amazon.co.uk. 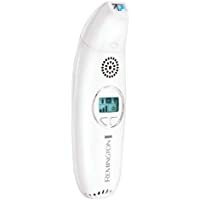 Today only, get Braun Silk-expert IPL BD5009 Permanent Hair Removal System and Body Exfoliator from Amazon.co.uk. Get no!no! 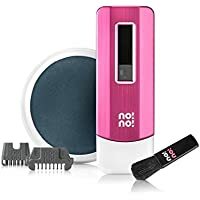 Pro Hair Removal Device for Face and Body (Pink) from Amazon.co.uk (via AMOREUK). Get Remington IPL6500 iLight Pro Hair Removal Device from Amazon.co.uk. 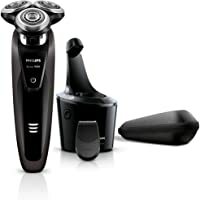 Get Philips Series 7000 Vacuum Beard Trimmer (Black) from Amazon.co.uk. Get Philips HPS 940/00 ProCare Auto Curler (Black) from Tesco Direct. Super Hot! Get Babyliss 2663GU Curl Secret Simplicity Hair Styler (Pink) from Amazon.co.uk. 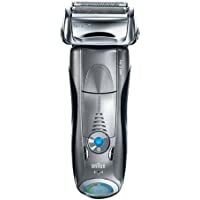 Get Philips SatinShave BRL130/00 Wet and Dry Advanced Electric Lady Shaver from Amazon.co.uk. 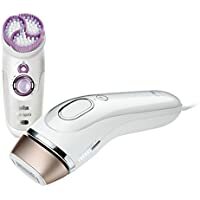 Get Philips SC2009/00 Lumea Prestige IPL Hair Removal System from Amazon.co.uk. Super Hot! Get Remington F4800 Dual Foil Flex & Pivot X Foil Shaver from Hughes. Super Hot! Get Philips S9031/26 Series 9000 Wet & Dry Electric Shaver (Black) from Amazon.co.uk. 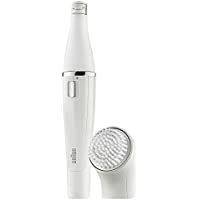 Get Philips TT2040 Rechargeable All-in-One Pro Body Groomer from Amazon.co.uk. Super Hot! 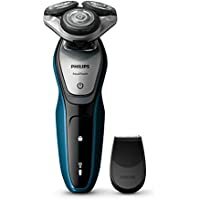 Get Philips S5600/41 Series 5000 Aqua Touch Electric Shaver with Smart Click Beard Trimmer from Hughes. 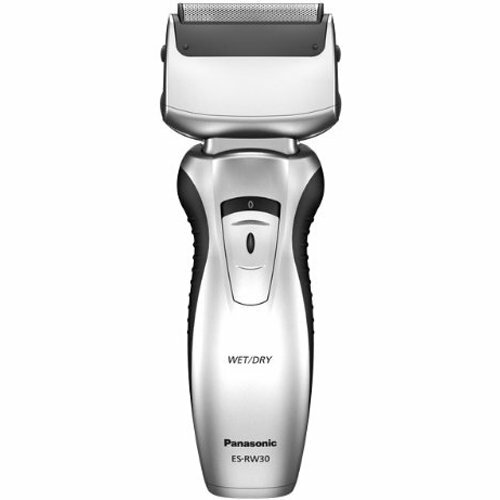 Get Panasonic ES-RW30 Wet and Dry Twin-Blade Rechargeable Mens Electric Shaver from Shavers.co.uk. 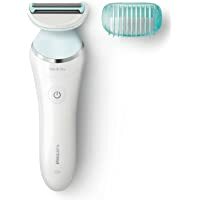 Get Philips S7370/12 Series 7000 Electric Shaver with Precision Trimmer from Amazon.co.uk. Today only, get Gillette Fusion ProShield Razor with 3 Refill Razor Blades from Amazon.co.uk.